As the Mondrian and his Studios exhibition opens alongside artworks by Indian abstract artist Nasreen Mohamedi at Tate Liverpool, the theme of Abstraction into the Real World is explored throughout the building with a soon-to-be-opened interior viewing space created by architect Claude Parent. 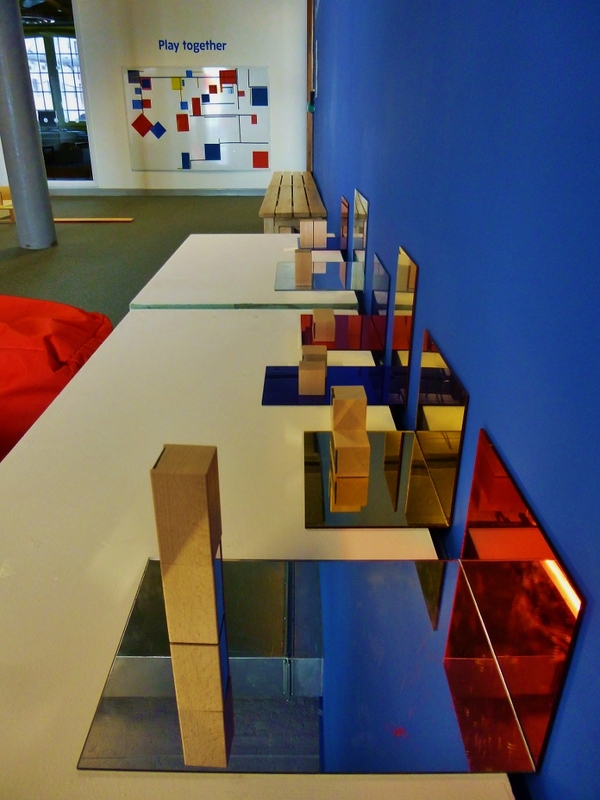 In response to this focus on abstraction and architecture, I have created a colourful, tactile, constructive space, which brings together aesthetic and conceptual elements of Mondrian, Mohamedi and Parent in an interactive installation in the Clore Learning Centre at Tate Liverpool. 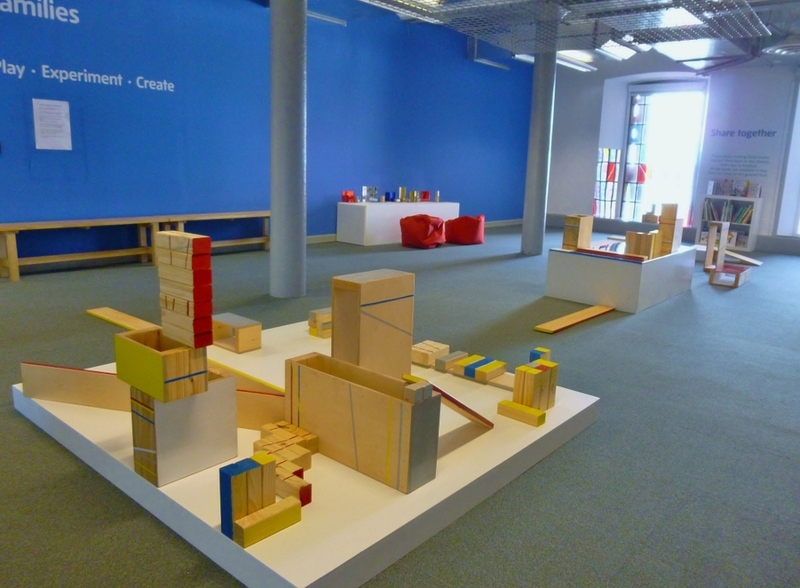 Working with Learning Curators Katy McCall and Debbie Goldsmith, we have developed a space which invites visitors of all ages to play with colour, line and shape composition, exploring 2D, 3D, time and space. The installation invites playful, geometric construction and composition with beautiful *hand-painted blocks of different sizes and forms. 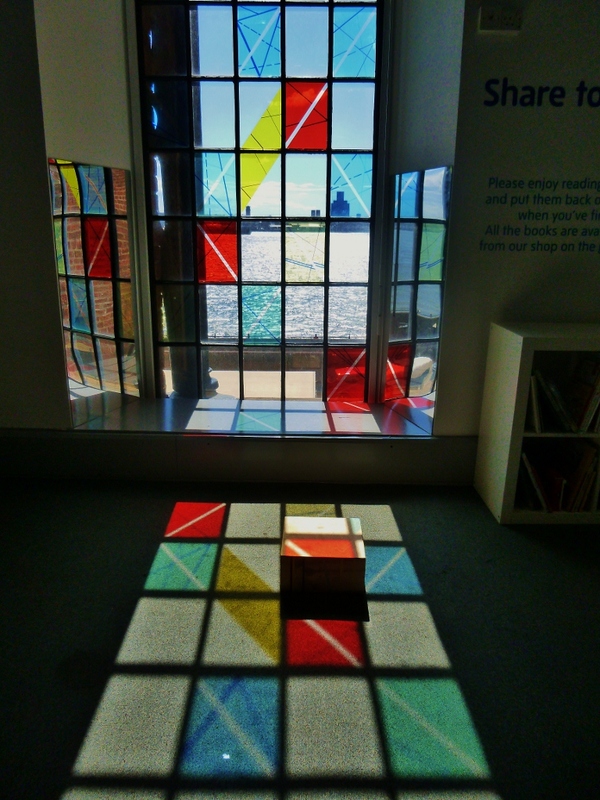 It also encourages exploration of light, shadow and reflection as coloured windows and mirrors reveal slightly alternative, distorted worlds of light, shape, movement and time. Families can enter a space which attempts to embody the ethos of Mondrian's studio and his neo-plastic world. 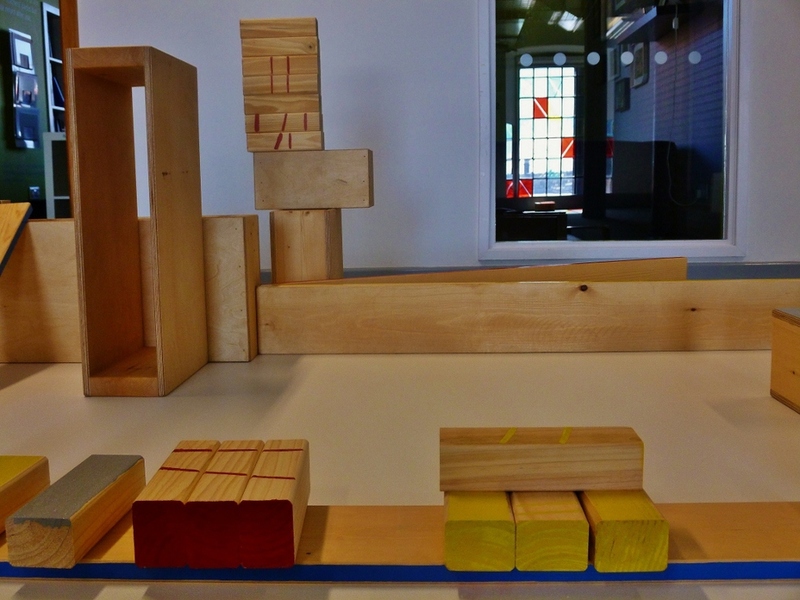 Here, though, participants can playfully engage with the physical act of placing, sorting, constructing / de-constructing and imagining. 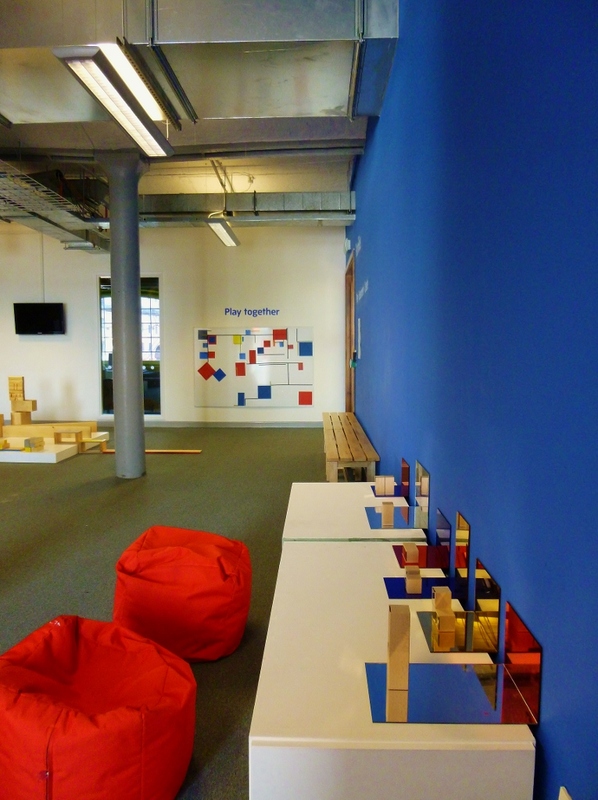 The space is in progress and may evolve throughout the next four months, so come and play! 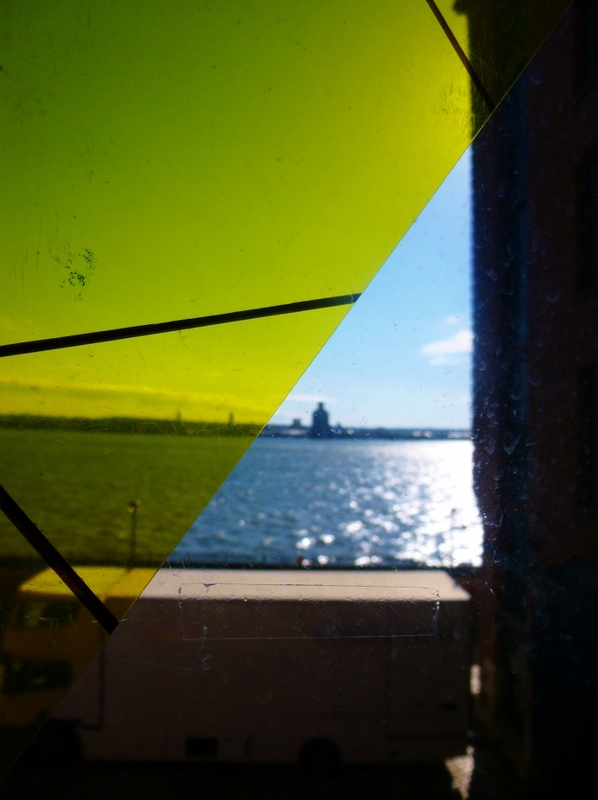 Find out what's on for families at Tate Liverpool this summer. 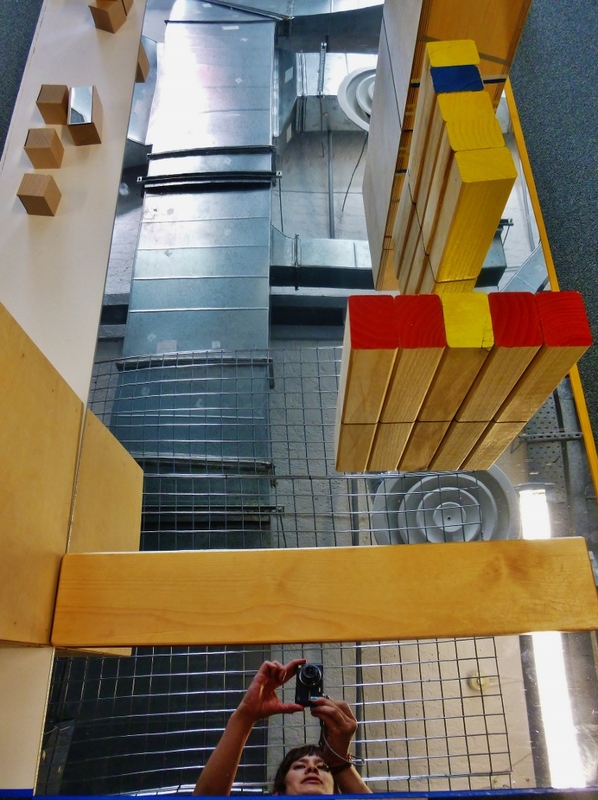 Come along and join me for a playful, hands-on summer of abstraction and architecture in my two workshops But does it float? and My Colourful Pop-Up World in the Art Dock Studio. 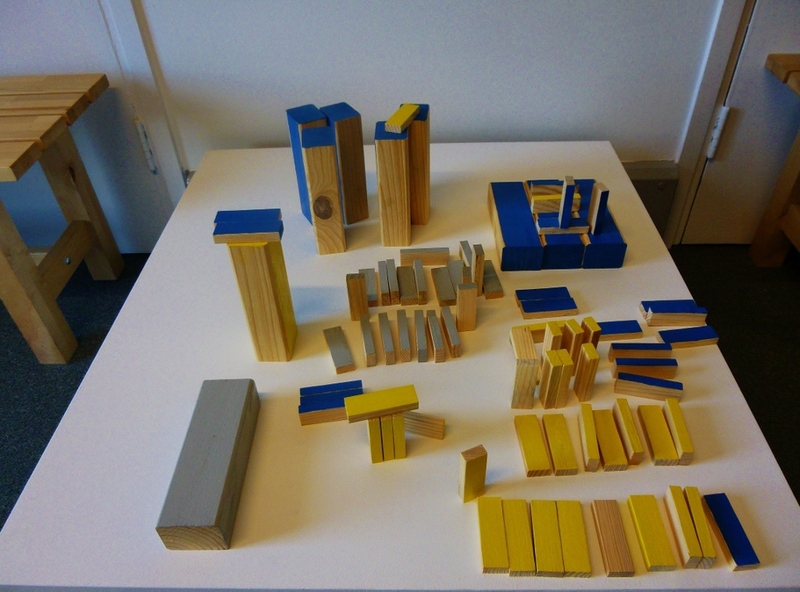 *Thanks to Jim Medway for his help painting the blocks so artfully!